Below you can view all the homes for sale in the Royal Troon Village subdivision located in Avon Indiana. Listings in Royal Troon Village are updated daily from data we receive from the Indianapolis multiple listing service. To learn more about any of these homes or to receive custom notifications when a new property is listed for sale in Royal Troon Village, give us a call at 317-662-3724. 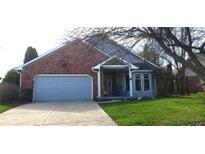 Wonderful location nestled on a cul-de-sac MLS#21630888. RE/MAX Centerstone. All appliances are included + mechanicals- New high efficiencey furnace & a/c in 2016, roof replaced in 2012, new pool heater, pump & cover replaced in 2015, liner in 2014. Enjoy spring & summer at Prestwick! MLS#21626130. Carpenter, REALTORS®.